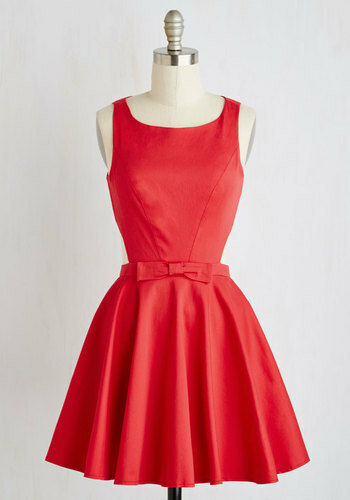 Consider yourself something of a modern-day Audrey in this bright red, bow-topped dress! Its fit and flare silhouette has the classic sophistication you seek, while the cutaway back that stretches coyly across the sides gives it a fashion-forward edge. Button its back to embody the look of a show-stopping stylista!